Pest description and damage The adult western spotted cucumber beetle is yellowish green, 0.25 inch long, and has 11 black spots on its wing covers. Mature larvae are white, except for the head and last abdominal segment, which are brown giving the appearance that larvae have two "heads." 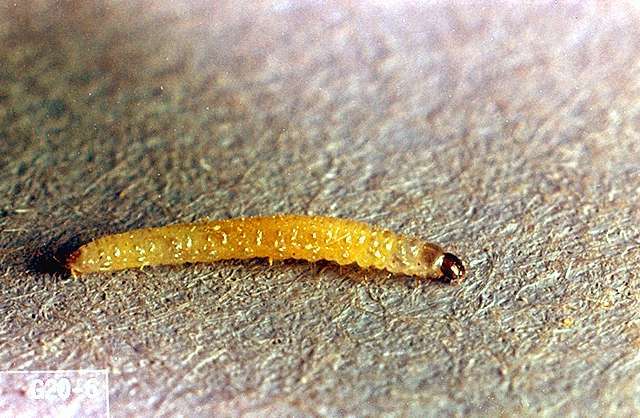 The larvae are about 0.63 inch long. The adult beetles eat small holes in the leaves. Larvae feed on roots and bore into the base of stems, killing small plants and reducing root mass in mature plants so plants may be stunted. Biology and life history Cucumber beetles overwinter as fertilized females and are active beginning in early spring. Adults lay eggs at the base of plants. 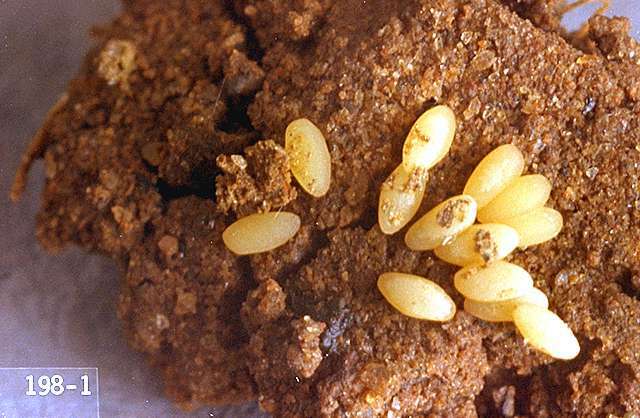 Eggs hatch in 7 to 10 days, and larvae feed in roots for about 3 weeks before pupating in the soil. Adults emerge 2 weeks later and feed on pollen, foliage, flowers, and pods. There are two generations per year. In most years, beetle populations diminish after egg laying and before the emergence of the summer population. Planting can be delayed until after the beetles have dispersed and deposited most of their eggs. Individual beetles can be picked off. Entomopathogenic nematodes directed towards the larvae are effective when soil temperatures are warmer than 53°F. Rosetta, R. 2009. Western spotted cucumber beetle. 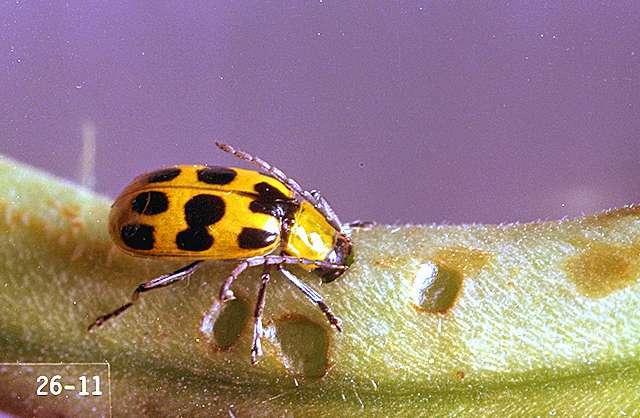 PNW Nursery IPM: Western spotted cucumber beetle (http://oregonstate.edu/dept/nurspest/western_spotted_cucumber_beetle.htm). Natwick E.T. et al. 2009. 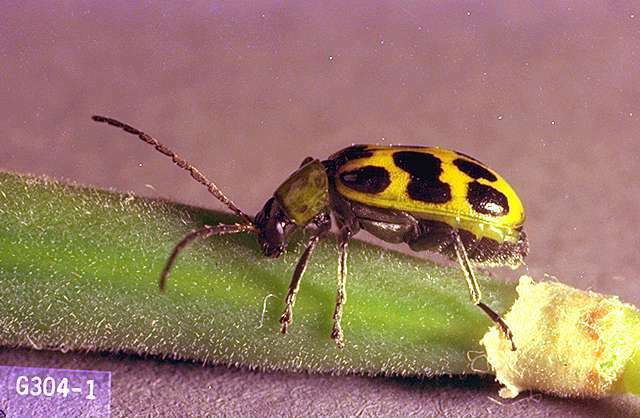 Cucurbits: cucumber beetles (http://www.ipm.ucdavis.edu/PMG/r116300511.html).